But will they be Symbian, Windows or Android powered? WIll they call it the Dell Boy? Dell computers founder Michael Dell has insisted that the company is considering producing a new smart-phone, but admitted it will be some time until such a device hits the market. Dell, who returned as head of the company in a bid to save it from a slump that saw it fall behind rival Hewlett Packard, told GigaOM's Om Malik that the move towards open source mobile operating systems like Nokia's Symbian or Google's Android makes for an exciting time. 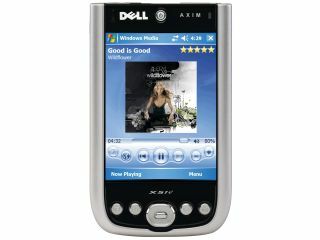 "We are certainly looking at the whole smartphone category, but I wouldn't expect anything anytime soon, said Dell. " "What you've got (with Android and Symbian) are industry-standard platforms upon which applications are being built and ecosystems are being created, and that kind of building-block architecture gives us all sorts of opportunities," added Dell. When pushed as to which OS Dell favoured – he refused to give an answer, adding: "We're not ready to publicly disclose our plans there…we're kind of working on that."